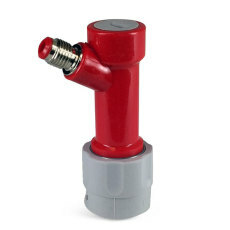 Standard ball lock gas disconnects with a 1/4" MFL connection for swivel nuts. 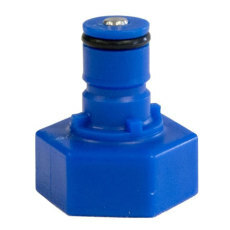 Standard ball lock liquid disconnects with a 1/4" MFL connection for swivel nuts. 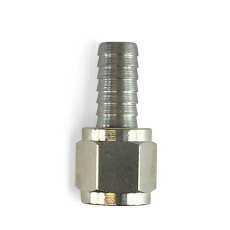 Standard pin lock gas disconnect with a 1/4" MFL connection for swivel nuts. 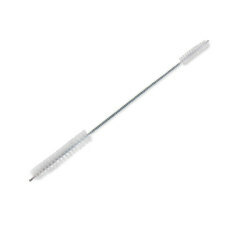 A double end brush comes in handy for cleaning faucet parts, ball valves, and all sorts of brewing equipment! 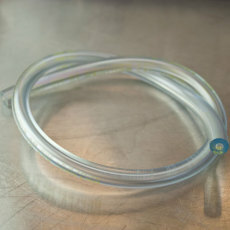 This handy dandy gadget makes kegged beer portable. 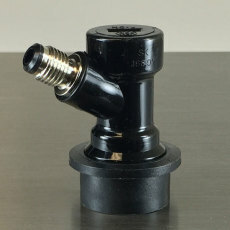 Just fill a soda bottle from the keg and attach the CarbaCap. 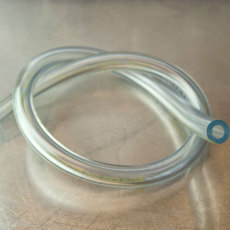 Use a gray gas disconnect to pressurize the bottle. The gas pressure will keep the beer carbonated until you open the bottle. 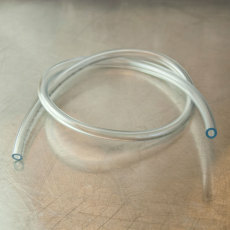 Can also be used to carbonate any beverage in a soda bottle. 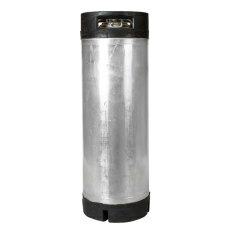 A used 5 gallon ball ball lock corny keg for all your kegging needs. Comes with a new set of corny keg o-rings. 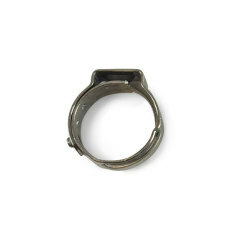 Medium 1-ear Oetiker-style clamps, often used on 3/16" thick-walled liquid tubing. 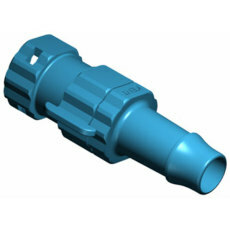 Swivel nut sets that include a barb for gas applications. 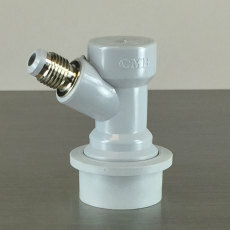 Female quick disconnect fitting from Kent Systems, featuring a 5/16 in. barb with shutt-off.